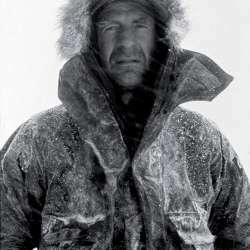 He was the first to reach both the North and South Poles by surface travel, is the oldest Briton ever to conquer Everest and has broken countless endurance records. But over the course of his two-night stay aboard Saga’s all-inclusive Jewels of the Canary Islands cruise, Sir Ranulph Fiennes will present himself firstly as raconteur, delivering a gripping and fascinating after-dinner talk about his remarkable adventures. He will share stories about his unwavering personal determination to succeed in his expeditions driven by a desire to conquer and ultimately raise millions of pounds for charity. Having previously joined a Saga cruise in search of the Northern Lights in 2015, this time he’ll be swapping the chill of Norway for sunnier climes, on an itinerary calling at the Canaries and Madeira. Are they islands he knows well? As well as expeditions and writing, he has now forged a career as a lecturer and speaker. What does he have in store for Saga’s guests? Jewels of the Canary Islands will also be featuring a fascinating talk by Debra Searle MBE. In 2002, she rowed across the Atlantic Ocean in a plywood boat constructed from a flat-pack kit! Since then, she’s raced down the Yukon River in a canoe, sailed across the southern ocean from Argentina to New Zealand and cycled across Dartmoor. An inspiring adventurer and author, Debra has also presented numerous television programmes including Extreme Lives. In addition, you’ll be able to flex your own muscles with another inspiring, surprising television personality. Instantly recognisable for his brightly coloured bandanas and lycra shorts, Derrick Evans is better known as Mr Motivator – a Jamaican-born fitness instructor who now campaigns tirelessly for good causes and health issues. Whilst on board, he’ll hold a series of upbeat fitness classes and give an entertaining after-dinner speech. • Walk part of the Way of St James to Santiago de Compostela. At the end of each day, you’ll be able to share tales of your derring-do in Shackleton’s bar without worrying about the bill. That’s because the cruise includes selected on-board drinks, as well as all your on-board meals and snacks. It also includes a return chauffeur service to Southampton, up to 250 miles each way, on-board gratuities, free wifi and a shuttle bus in most ports – so it really is exceptional value. Jewels of the Canary Islands sails from Southampton on November 20, 2017 aboard Saga Pearl II. 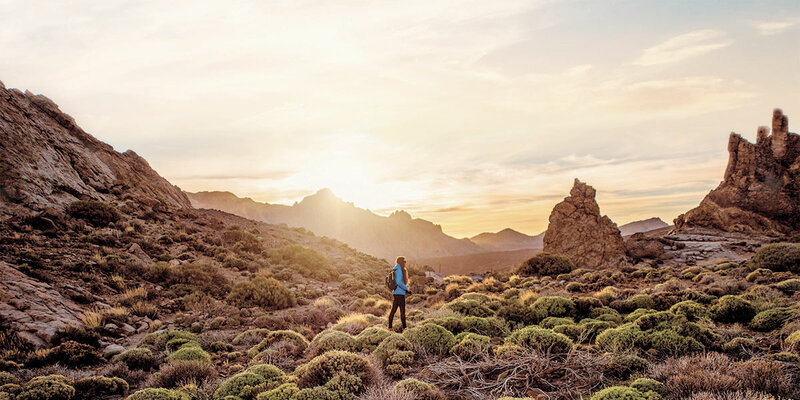 Over the next 18 nights you’ll visit the four main islands in the Canaries archipelago, along with Madeira, Lisbon and a brace of other Portuguese ports. The chance to take a pilgrimage to Santiago de Compostela is always welcome. World of Cruising readers can save £200 per person when booking by September 24, 2017 – and that’s on top of the already-discounted fares. So why not ensure you’re aboard to meet the inspiring guests and enjoy some truly unforgettable adventures? The saving is not available online and cabins are selling fast, so call 0800 015 6983 quoting reference MG369 today.